Hours after the Utah Legislature opens its 2019 session on Monday, concerned supporters of a voter-approved measure to fully expand Medicaid were expected to rally to ask lawmakers not to change the law. State leaders have said they plan to implement Medicaid expansion, but want to make changes so costs do not spiral out of control. Changes could delay the expected April 1 rollout for months or years, leaving people without health care they have counted on, said Stacy Stanford with the Utah Health Policy Project. "They're excited, and they're desperate," Stanford said, adding that the rally could draw hundreds of people. A proposal by Republican Sen. Allen Christensen of North Ogden would cap enrollment and include a work requirement, changes requiring a potentially lengthy approval process from the federal government. For expansion supporters, that would "amount to a repeal," Stanford said. Another bill sponsored by Republican Sen. Jake Anderegg would repeal the measure altogether, though Republican Gov. Gary Herbert shied away from that option while speaking with reporters last week. The sales tax increase is expected to generate $90 million that will combine with $800 million in federal money. Advocates got the issue on the ballot after the GOP-dominated legislature refused to fully expand Medicaid under President Barack Obama's signature health care law, citing cost concerns. 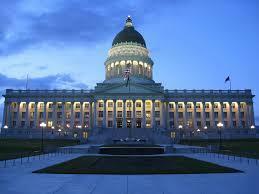 The plan approved by voters provides health care coverage to an estimated 150,000 low-income Utah residents. Utah is one of three Republican-leaning states where full Medicaid expansion won the vote in November after years of resistance from state lawmakers. In Idaho, Republican Gov. Brad Little has also voiced the possibility of a work requirement or work training. In Nebraska, the rollout is on track despite some lingering concern from lawmakers.